Dr. Haysam Shaaban graduated from University of Western Ontario Schulich School of Dentistry. Seeking adventure, he worked for 4 years as an associate dentist in the Northwest Territories and Nunavut. It was a rewarding experience professionally as well as personally. As a dentist, he was able to work on challenging cosmetic cases in individuals who had very little dental care in their lifetime. He returned to Ontario to settle in his current practice Kent Dental Clinic in 2000. 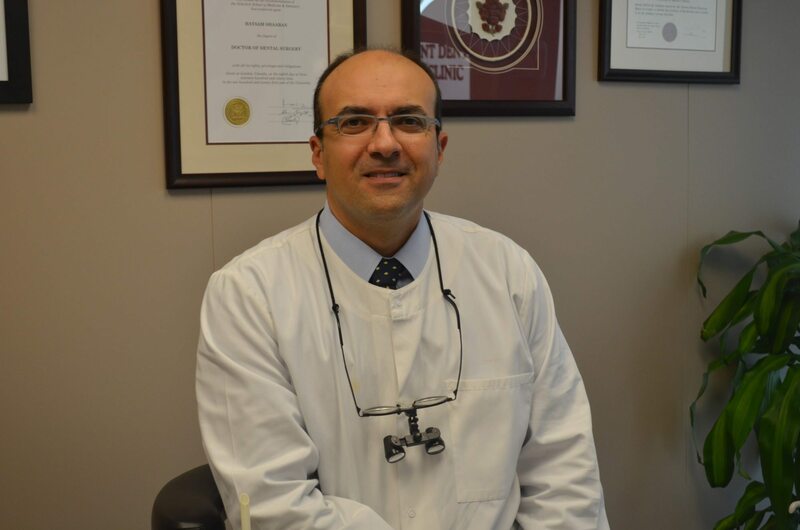 He has developed a special interest in cosmetic dentistry and is certified in implant dentistry from the University of Toronto School of Dentistry Implant Residency Program. In Ottawa, he has found a true balance between his love of nature and culture. An avid outdoorsman, he takes every opportunity to camp, fish, and snowmobile. He is also proud to have coached all three of his kids’ soccer teams.